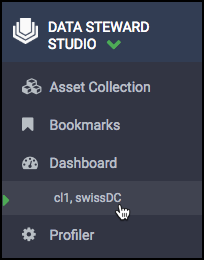 The Data Steward Studio Dashboard gives you an overview of your data lake's profiles and assets: Hive tables, execution, sensitivity, and access. 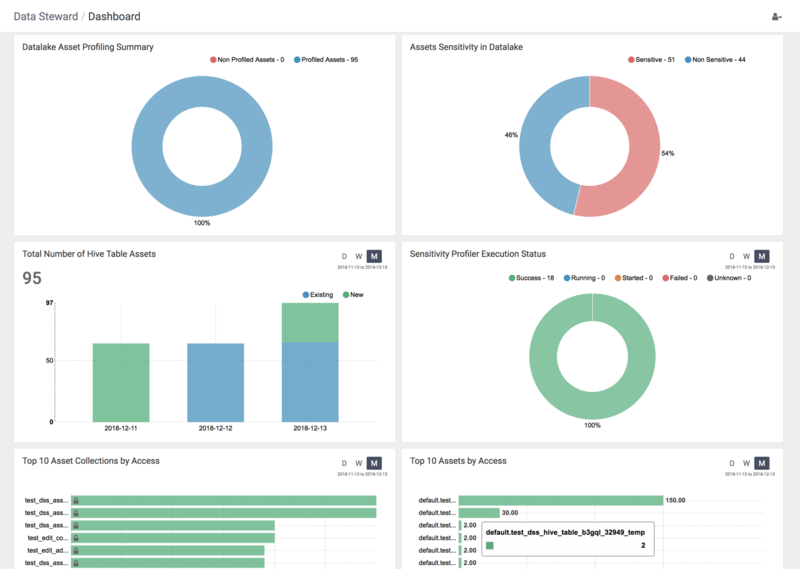 This helps you understand asset profile coverage, access data, and asset sensitivity proportion (for example PII, PCI, and HIPAA), at a glance. Datalake Asset Profiling Summary The number and percentage of assets covered by data profiling operations. Asset Sensitivity in Datalake The number and percentage of assets that are considered sensitive (for example, PII, PCI, and HIPAA). Based on a defined set of regular expressions, DSS runs a profiler job against Hive columns to determine whether values of the column satisfy the criteria for specific types of sensitive data and classify the columns accordingly. Total Number of Hive Table Assets Shows how your Hive table assets are growing over time. Sensitivity Profiler Execution Status This graph provides information about the monthly status of a particular profiler's execution: How many assets were run on that day, and how many completed successfully. Top 10 Asset Collections by Access Most accessed Asset Collections and how many times they were accessed. Top 10 Assets by Access Most accessed assets, who is accessing them, and how many times.